The death of Paul Walker back in November 2013 in a tragic car accident will forever affect his Fast & Furious co-star, Vin Diesel. Having starred in each of the seven installments for the franchise together, the pair had clearly developed an intimate and emotional bond. In fact, Vin Diesel has admitted that his upcoming role in The Last Witch Hunter has helped him to get over the death of his close friend, and even explained how. Death was a huge theme last year. There was something therapeutic about playing this role after going through [Walker’s death] … Playing a character that was masking his sorrow – his loss – was very appropriate for the time, because that’s what I was doing in real life with the post-Furious 7. In The Last Witch Hunter, Vin Diesel stars as Kaulder, an immortal witch-hunter who takes it upon himself to stop a horrific plague from destroying all of humanity. In order to do this, he decides to partner up with a beautiful female witch by the name of Chloe (Rose Leslie), and the pair are also joined along for the ride by Elijah Wood, Julie Engelbrecht, and the always magnificent Michael Caine. 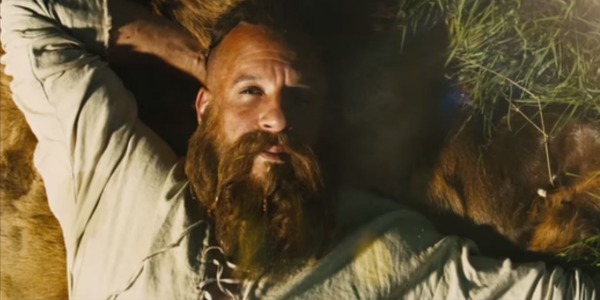 While The Last Witch Hunter admittedly sounds a little corny and cheesy, and its story seems to have taken inspiration from around half a dozen other efforts, we all know what to expect from a Vin Diesel film. And if it can deliver the sort of action that he’s known for in an original and relatively compelling fashion, then it should suffice. Even from the above, I still can’t decide if I actually want to see The Last Witch Hunter. I mean, it certainly seems to have been slickly put together, as you’d expect for a film with a $90 million budget, and Vin Diesel is just as relentless and monosyllabic as we’ve come to know and love. But I can’t help but be worried by its plot, which just seems a bit too elaborate and overwrought. We’ll find out if The Last Witch Hunter manages to deliver when it finally hits cinemas on October 23.